The Market at El Museo Cultural de Santa Fe is back…and bigger and more eclectic than ever! For ten years visitors and collectors from all over the globe have made El Museo Cultural’s Market a priority for any visit to Santa Fe and for good reason; nowhere else in the world can casual browsers and serious collectors alike find as fascinating an array of Americana, international folk art, vintage Western memorabilia, tribal and global fine art in one single location. Whether intrigued by Native American jewelry and art, vintage and antique American and Western furniture and collectibles, books, textiles, clothing or global art from more than forty countries, Winter Market – quite literally – brings the world to Santa Fe. 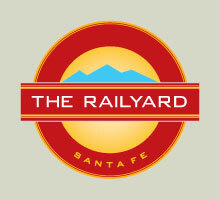 Open from October 6, 2018 through May 26, 2019, the Market at El Museo Cultural de Santa Fe is located in the historic Railyard District and directly across the railroad tracks from the Farmer’s Market. Admission is free, parking is easy and the experience is truly unforgettable!